"I have always been interested in history and since my retirement as an educator, I have contributed historical articles to a variety of publications. A number of these have been modified into what I have called historical narratives which may be of interest to anyone who enjoys history. Teachers and students of history might also find them useful as an alternative type of historical reading to complement that found in history textbooks. Because I believe students would be more interested in Canadian history if they knew more about the subject itself, I have included with the narratives, definitions of and information about history which could be used to promote comment and discussion, and so further the understanding and appreciation of this important subject, while at the same time learning about Canadian history. Obituary - Died peacefully with his family present at Welland Hospital. William 'Bill' Wilson lived a full and engaged life. The third son of twelve children born to Annie Shane and Stanley Wilson, Bill's formative years were flavoured by unflagging sibling support and the realization that dedication, principle and determination lay at the root of success. Bill rose quickly in his field with only a few years separating posts as teacher (one-room school in Essex County, 1953-55; Valleyway Public School, Niagara Falls, 1955-58), principal (Barker Street School, Niagara Falls, 1958-66), School Superintendent (Department of Indian Affairs, 1966), Inspector of Schools (Department of Education, Algoma No. 1, 1967-69) and Director of Education (Central Algoma, 1969-87). Bill had many career highlights. In his role as superintendent Bill worked cooperatively with the Tyendinaga Reserve community to integrate First Nations students into the Belleville Public School system. 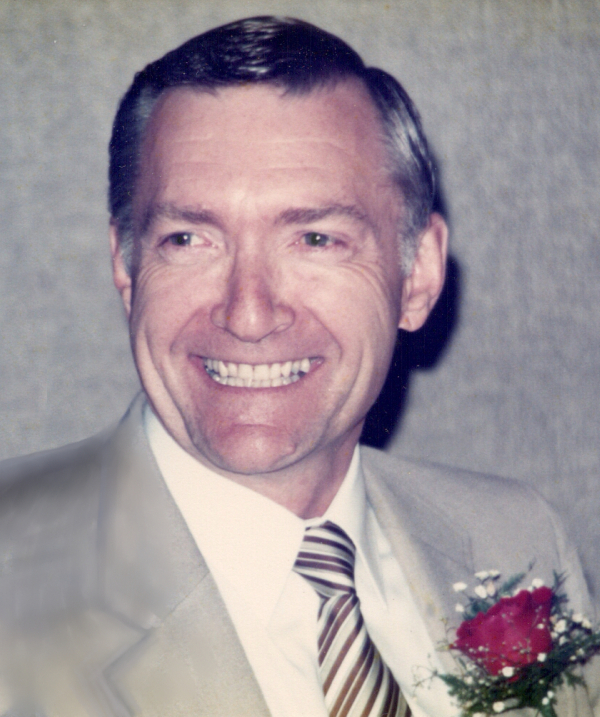 He was most proud of overseeing, as Director of Education, both the creation and construction of the award winning Central Algoma Secondary School (CASS) in 1972 which brought together graduates from public schools in the region; and the integration of special needs students across his directorship, a first in Ontario. Early on in his career Bill met his wife-to-be Geraldine Rita Brown while they were chaperoning a multi-class school trip. Married 53 years, they raised three sons, Shane, Kent and Jason. During retirement Bill fulfilled his lifelong passion of exploring the world and making history come alive in story. His prolific writings have been published in newspapers, magazines and on two websites of his creation: www.travellinghistorian.com and www.uppercanadahistory.ca. Bill is survived by wife Geraldine, son Shane (Miranda Atwood), grandson Malcolm (Dayna Corriveau), great-grandson Callum, granddaughter Ceilidh (Bryan Peake), great-grandsons Douglas, Alexander, William (Bill's namesake), son Kent (Carol Toenjes), granddaughter Leonore (daughter of Susan Palmer), son Jason Wilson (Kerrin Mehagan); sisters Shirley (Jack Doran), Margaret (David Walker), Judith (Henry Rasanen), brothers John (Joan Kimmett) and James (Connie Spencer), sisters-in-law JoAnn (Stan Graham), Jessie (William Gall) and many nieces and nephews. Bill is predeceased by his mother Annie (nee Shane) and father Stanley, sisters Dorothy (Joseph Black), Helen Elizabeth 'Betty' (Roy Millar), Jean (Ken Hanson), Barbara (William Goebel), brothers Allan (Norma Wilson) and Arthur. Service and interment of Bill's ashes were held at the Wilson Family Mausoleum, in Belleville Ontario. Click on Foreword to access additional introductory information and click on Historical Narratives to view the narratives.